The first time I had a Virgin Mojito was over 5 years ago in Jamaica. We were staying at an all-inclusive resort and they were so refreshing and delicious. I still can't believe it took me this long to recreate one. Lime and mint go perfectly together. This drink is so simple but delicious! And if I were you I would buy a mint plant to always have some on hand. 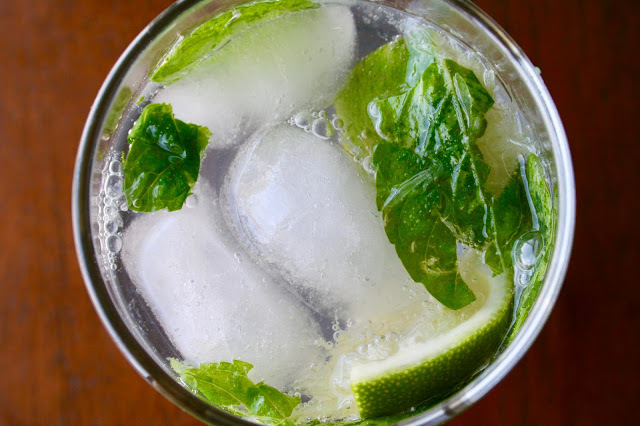 There are just so many possibilities with mint! 1. 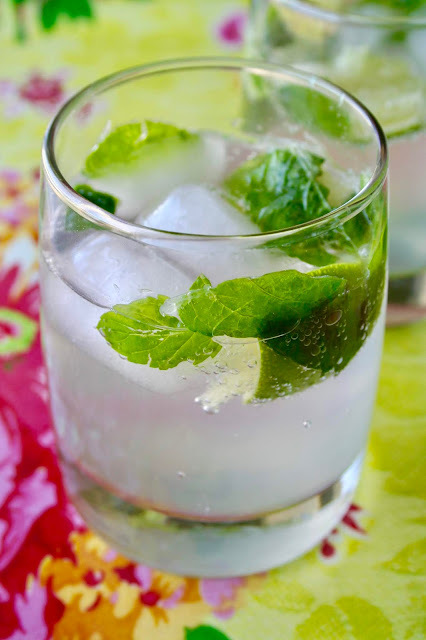 Place 6 mint leaves and 2 small lime wedges in each glass. Using a muddler or handle of a wooden spoon, crush lime and mint to release all of the juice. 3. Stir to combine. Serve with a straw and drink immediately.